Glasgow has beaten off competition from Munich and Stockholm to bring one of the world's most prestigious conferences to the city. 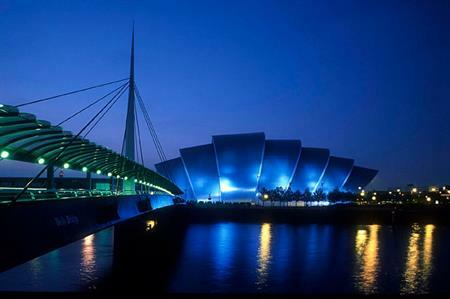 More than 4,000 delegates from across the globe will travel to Glasgow in 2020 for the European Society of Hypertension and the International Society of Hypertension (ESH/ISH) Joint Scientific Congress, which will take place at the Scottish Exhibition + Conference Centre (SECC). The Congress will inject more than £6mln into the local economy, securing some 16,000 hotel room nights in Glasgow and provide a welcome boost to the city’s restaurants, shops, bars and other businesses. The city’s bid was delivered in partnership by the British Hypertension Society, the University of Glasgow, Glasgow City Marketing Bureau (GCMB) and the SECC. Councillor Gordon Matheson, leader of Glasgow City Council and chair of Glasgow City Marketing Bureau, said: "We’re delighted to welcome the ESH/ISH Joint Scientific Congress to Glasgow in 2020. Glasgow has a long history of healthcare innovation; pioneering revolutionary medical technologies to world-wide audiences and we’re looking forward to a bright future of ground-breaking life sciences research tackling public health issues head-on." The good news for the city comes on the back of Glasgow’s winning bid to host the World Congress of Soil Science in 2022, which will welcome 3,000 delegates and deliver a £5.4mln boost to the local economy. Tourism Minister Fergus Ewing said: "Securing the European Society of Hypertension and the International Society of Hypertension Joint Scientific Congress is a big win for Glasgow and for Scotland. The VisitScotland Conference Bid Fund has been instrumental in helping to secure prestigious, high-yield, high-spend international conferences such as this, ensuring that Scotland is competitive within the international conference market."